Okay, so the theme of this week’s hash was originally supposed to be “School’s Out.” However, Eyes Up Here suggested that we change the theme to Brass Monkey, in order of the recently departed Beastie Boy MCA. It was kinda hard for me to argue with that kind of logic, so we’re changing this week’s theme to Brass Monkey. 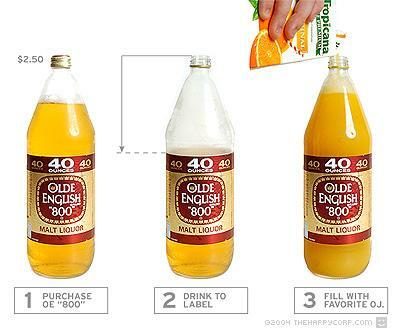 Wear your Brass Monkey or Voodoo Monkey shirts and bring your 40oz’s of Old English and OJ. Bring a dollar, a six-pack, a whistle, a flashlight, and a change of clothes for after the bog crossing (just kidding. OR AM I???). Location: Across from Loyola’s Thomas Hall on the opposite side of St. Charles.